When I first moved to Chicago I used the well known apartment hunting websites such as Zillow, Trulia, and Craigslist(yeah I know). I used Zillow as my main tool to find a place in July of 2017. I was fortunate enough to find an apartment on our second trip to Chicago. We went with the 2nd place we saw that day. We currently are still living there. We live in a couch house with 3 bedrooms, one is my closet due to lack of closet place, one is our bedroom, and the other is my husband’s gaming/man cave. We really lucked out in our apartment as it is close to public transportation and in a really nice neighborhood. Since I have moved to Chicago, I noticed there are a few more apartment hunting websites I have found. 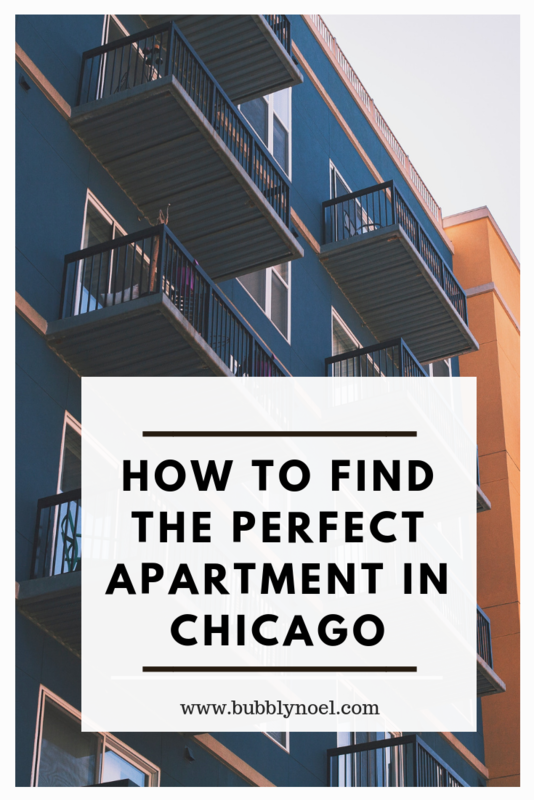 I will list a few more websites I have found to hopefully help you find the perfect Chicago apartment. So Zillow is obviously the leader in the rental marketplace. A few of the rental site below are apart of the Zillow group. They are a true powerhouse and the main website/app I use to look for either a place to rent or maybe buy. At Trulia, we believe that when it comes to finding a home what's outside the front door is just as important as what's behind it. I love Trulia as well! I used it mainly to check out the actual neighborhood to see if it was safe-ish. They have a heat map that shows areas that are safe or not safe and will list recent incidents in the area. This was so handy for moving to Chicago as I had no idea where was safe. Newsflash nowhere is safe, but this site helped me pick one that was safe enough for us. Apartments.com is the leading online apartment listing website, offering renters access to information on more than 1,000,000 available units for rent. Let us do the heavy lifting for you. From mapping out your new commute to choosing must-have amenities, we ask the important questions and deliver matches that meet what you care about most. I'll be honest this website is amazing. They can literally find you the perfect apartment. They ask you a series of questions about what you want in an apartment and will send you a report of apartments that recommend based on the question they asked. The only issue was I felt like this is better for apartments in the suburbs, or actual apartment buildings. So I found this rental site to be not useful for myself. I also found this website the same day I found my apartment, I think? All the apartments here are through a realtor and I feel like they are really legitimate places. They are all through an actual broker or realtor. Well, well. The sketchiest website ever, usually provides the most value sort of. I actually did schedule some viewings from craigslist and they were ok. Luckily I was accompanied by my husband. I would not go anywhere by yourself, especially if it's in a place you are not familiar with. So don't rule them out. Born out of frustration with the old way of renting, Zumper is creating a smooth, efficient, and transparent renting process for both tenants and landlords. We’re the first rental marketplace where tenants can search for and rent an apartment on our end-to-end platform, and we’re just getting started. The best part of Zumper is that at the end of the apartment results they have tips about the city your moving too and demographic information. Other than that its just your basic website for apartment searching. I found this site just by walking my dog. This is actually a property management company. The best part is that there are no security deposits for any of their units. HotPads is a leading map-based apartment and home rental search brand, and a top destination for renters in urban areas across the United States. Living in Chicago is not cheap, but living in the city has its perks. You can save so much money by not having to have a car and just solely rely on public transportation and/or Uber/Lyft.. If you are wondering what neighborhood in Chicago you should live in, feel free to check out this website I used to figure out which made more sense. Also ask any friends or family members that are familiar with the neighborhoods in Chicago.